You won’t be too shocked to hear that the iPad and iPad Air are both excellent tablets. Apple has been selling its iconic iPad for almost a decade now, and we’ve bought over 360 million of them. There’s a reason for that – coupling sleek design and speedy processors with an intuitive user interface, the iPad appeals to Apple experts and newcomers alike. The question, then, is which model do you go for? Apple has four distinct ranges in its iPad stable, but we’re going to focus on the iPad 9.7 and the 2019 iPad Air in this guide, and let you know which is the better fit for you. Whether you’re an avid social media user, Netflix streamer, or hardworking designer, we’ll suggest the right iPad to opt for. Still a great iPad for business users. iPad 9.7 or iPad Air – which should you buy? Verdict: Which iPad Should You Buy? – almost certainly the 9.7! On paper, the Air is the better device. It offers more impressive specifications, including a larger screen and faster processor, as well as being compatible with Apple’s excellent Smart Keyboard. On the other hand, the standard iPad is cheaper – by quite a margin – and still delivers an excellent experience. What you opt for depends on what you’ll be doing, but we don’t think you should overlook the iPad in favor of the iPad Air. Verdict: Any casual user who just wants to browse, stream and email should go for the 9.7-inch iPad rather than the nice, but pricey Air. If you want a smaller iPad, or the premium iPad, consider the Mini or the Pro. Read our full iPad buyers guide for the whole range. Now recognised as the ‘classic’ iPad, the 9.7-inch model of Apple’s tablet is arguably the most recognisable model, and it’s received plenty of updates in it’s almost decade long life. The latest model has been gifted a crystal clear retina display, and is now compatible with the Apple Pencil. Apple would call this the ‘entry-level’ iPad, but we think that’s doing it something of a disservice. It may not have the raw power of the Air, the styling of the Pro, or the diminutive stature of the Mini, but it’s still an excellent tablet, and one that most of us would be happy to have around the house. It delivers that intuitive Apple experience without struggling, looks great, and has a cracking battery life. 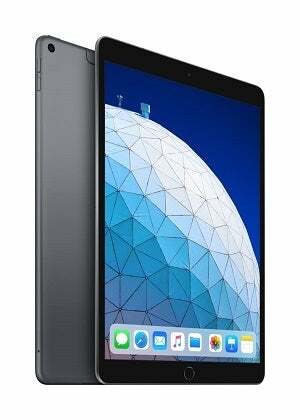 The iPad Air was recently given a makeover by Apple, which included a boost in its engine room. The A12 processor is now running the show, which puts it on a par with Apple’s latest iPhone. The display is slightly larger than the iPad, with a 10.5-inch screen occupying a slightly smaller frame than the standard model. Needless to say, the image is fantastic, utilizing Apple’s retina display technology to reproduce stunning images. The iPad Air is pitched somewhere between the iPad and the iPad Pro – it’s aimed at those who want a more powerful tablet, but don’t have the budget for Apple’s premium offerings. 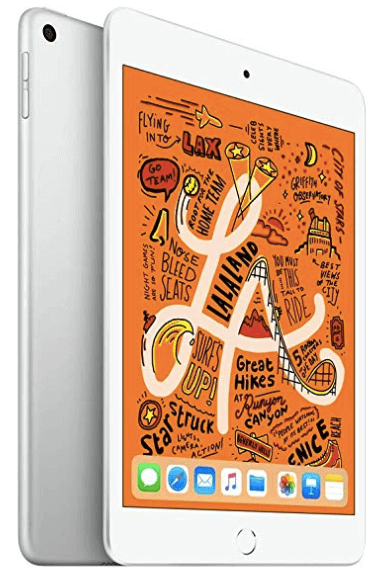 This is a space that the Air has carved out for itself, and there’s certainly a lot of reasons as to why you’d want to pick one up if your needs have exceeded the iPad. Take a look at the iPad and the iPad Air side by side, and you’ll soon spot the most glaring difference: The price. The iPad starts at $329, while the Air will set you back $499 for its cheapest model. There’s a reason for this of course – the Air has a lot more muscle than the iPad, thanks to that A12 processor, compared to the iPad’s A10. That’s not to say that the standard iPad is a sluggish weakling – far from it – but if you want the extra power, you’ll have to pay out for the Air. 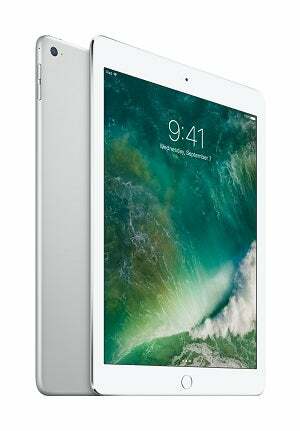 The Air also has a slightly larger screen, at 10.5 inches, while the iPad retains its classic 9.7-inch display. Curiously, there’s no difference in the size of the models – Apple has simply shrunk the bezels on the Air to accommodate the larger screen. Whether or not these differences are enough for you to justify spending an extra $170 depends on your own needs, but we can’t argue that the standard iPad represents excellent value. You might think that if there’s one thing that the iPad range isn’t famous for, it’s connections. Well, you’d be mostly right. Generally, on most models, you get a lightning port (although the iPad Pro range has upgraded this to a more versatile USB-C port). Both models have also retained the headphone jack. However, the Air has a trick up its sleeve here, and just trumps the standard iPad. While both are now compatible with the first generation Apple Pencil, the Air takes its accessory friendliness one step further. You can also use the official Smart Keyboard with the Air, which has numerous benefits, including being able to pair instantly with the iPad and not needing its own battery. Yes, there are third party alternatives, but the Smart Keyboard really is the cream of the crop. 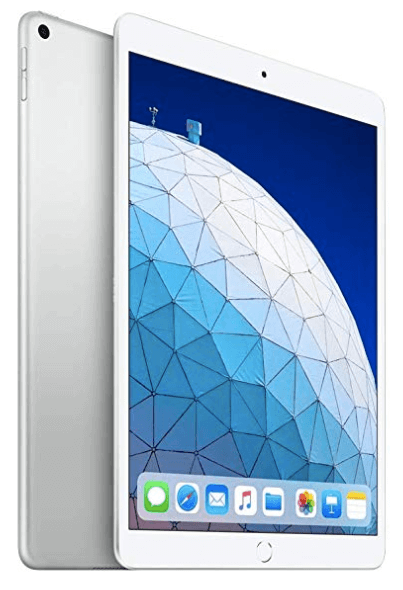 The iPad Air, alongside the Mini, is the latest iPad in Apple’s line up to receive a refresh They’ve certainly been kind, kitting it out with an impressively snappy A12 processor – the same chip that powers the latest iPhone. In real terms, this means that it’s able to load your apps faster, as well as handle multi-tasking, with more ease than the standard iPad. The Air serves up a buttery smooth experience, and exhibits few signs of faltering when you start to work it. That said, whether or not you need this much horsepower in your tablet is another question. While the Air is the halfway house between the entry-level iPad and the super-powered Pro, it’s much closer to the latter than the former. The iPad is the best choice for casual users. This means that if you mainly use your iPad for social media, browsing the web, and streaming movies, then the standard iPad offers the whole package for $329. Is it as fast as the Air? No – but frankly, you’re unlikely to notice unless you have the two in a side-by-side comparison. On a daily basis, it will be hard to beat the iPad for performance and value, especially if you’re not challenging it with demanding software or juggling several things at once. Choosing between the iPad and Air is a matter of need. As we’ve stated above, if you’re a consumer more than a creator, then the standard iPad is a great choice for the money. It’ll serve up non-stop entertainment, and handle your daily desires with aplomb, whether it’s checking in on social media or browsing online. However, if you’re more interested in editing images and video – or substituting your trusted laptop for the iPad on occasion – the Air is better proposition, thanks to its extra firepower, larger screen and Smart Keyboard compatibility.